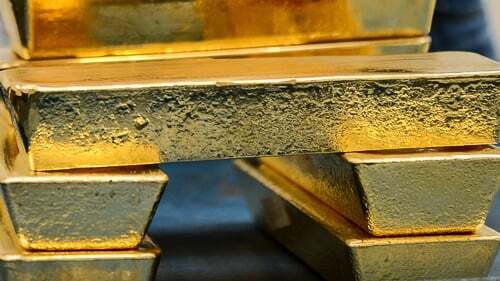 A leading supplier of gold and gold storage facilities has said it has seen a major increase in demand for its services from clients from Northern Ireland. Merrion Vaults said the number of customers from Northern Ireland purchasing and storing gold in the Republic has risen by 70% this year. The company said the surge has been prompted by fears that a sudden economic crash precipitated by Brexit could see the value of Sterling collapse. As a result, hundreds of businesses and individuals have chosen to purchase and store gold in Dublin, the firm has claimed. It added that the demand for gold and storage began long before the recent Bank of England assessment that a no-deal Brexit could prompt an economic crisis. Last week, the bank warned that a disorderly exit next March risks a bigger hit to the UK economy than during the global financial crisis a decade ago. "In the five years our vault has been selling and storing gold, we have never seen such a demand as this current rush," said Seamus Fahy, co-founder of Merrion Vaults in a statement. "This demand has also been experienced in our vaults in Glasgow, Newcastle and Liverpool." "The clients reflect a cross section of society from investors to pension managers, small businesses and large corporations. "They believe that, until there is stability in the UK economy, investing in gold is the safest option." Over the past six months, the price of gold has risen 6%. However, over the past year, the value of Sterling has been extremely erratic, seesawing between 0.91 and 0.87 pence to the euro.